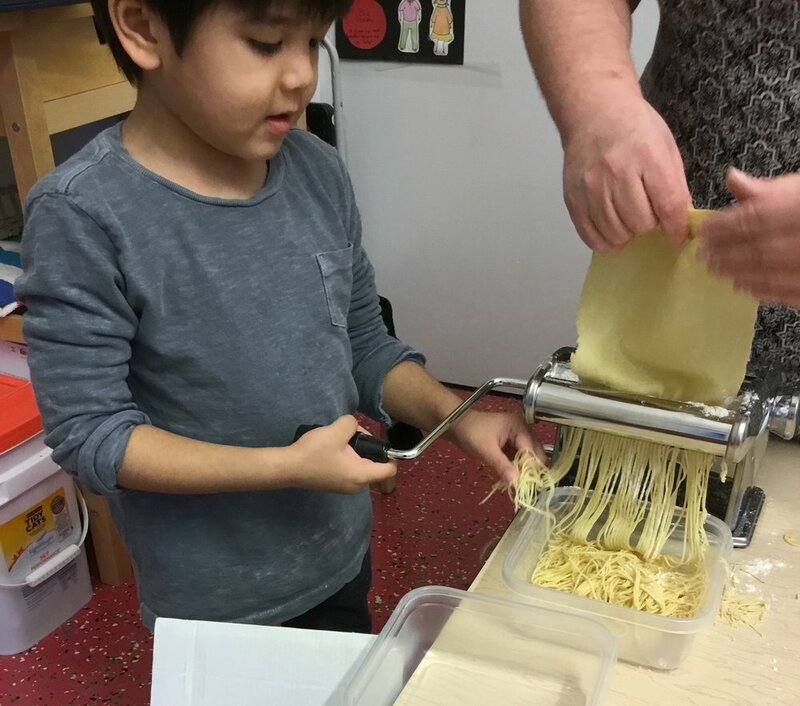 Gordon Ramsey himself could not be prouder of the Mini-Chefs who completed this session of Cooking By The Book. We went beyond just jello or cookies and made Irish Soda Bread and delicious Chicken Soup with Rice. 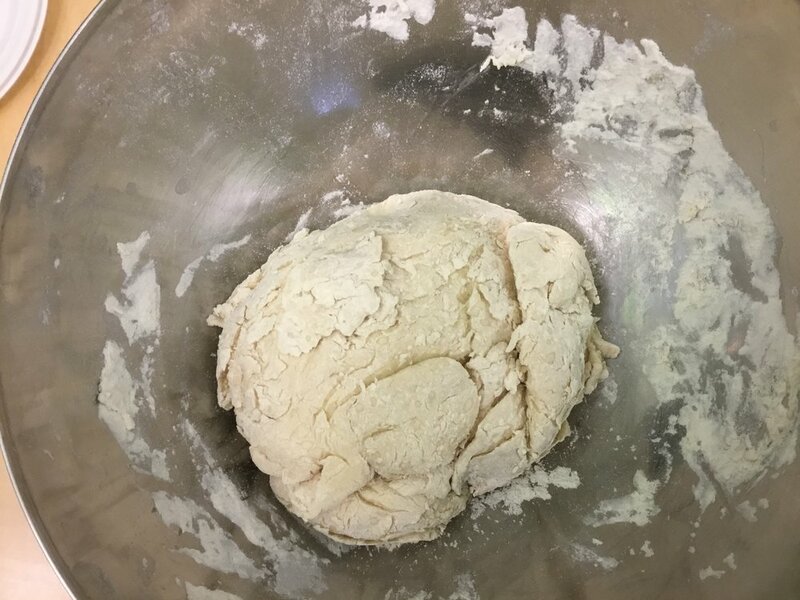 We learned some culinary jargon like “kneading” and “sifting.” The biggest thing we have realized is how scrumptious reading can be and hopefully we will always be hungry when it comes to reading. This semester in Roots & Shoots, we turned our attention to helping people. After reading Ordinary Mary's Extraordinary Idea, we decided that we would come up with our own random acts of kindness. For more information on Roots & Shoots, visit rootsandshoots.org. 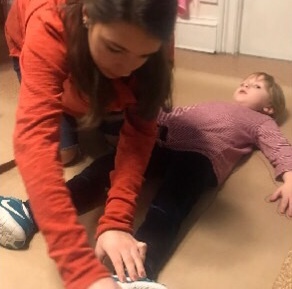 For the past few weeks in de Puerta a Puerta - Spanish Language and Culture, we have been learning about the importance of our cuerpo (body) and how it works. Together we have discovered that el cuerpo humano (the human body) is a brilliant machine with many vital parts. We have all learned to appreciate our body and are now aware of how important it is to take care of it. This semester, nine wonderfully talented dancers learned the fundamental principals and practices of classical ballet. The dancers not only memorized and preformed the positions of the feet and arms, barre exercises, and grand leaps and turns, they also impressively recollected the moves’ proper French names! Alongside watching excerpts of classical ballets, the dancers developed their own characters with specific movements and handmade costumes. Now all that's left is to write a ballet featuring five cats, a mermaid, Peter Pan, Alice, and Elsa. Our fun explorations continued this term in Hands- On Science. Some of our inquiries even spanned two weeks! We considered the physics of air moving up and down straws and the biology of plant transpiration. We observed colored water rise up through the tubes in a celery plant, and painted with the air in our lungs blown through a straw. We also investigated the nature of Hydrogen bonds when ripping paper and watching how water makes it disintegrate. We watched yeast eat sugar and make bubbles and then ate our own homemade bread. 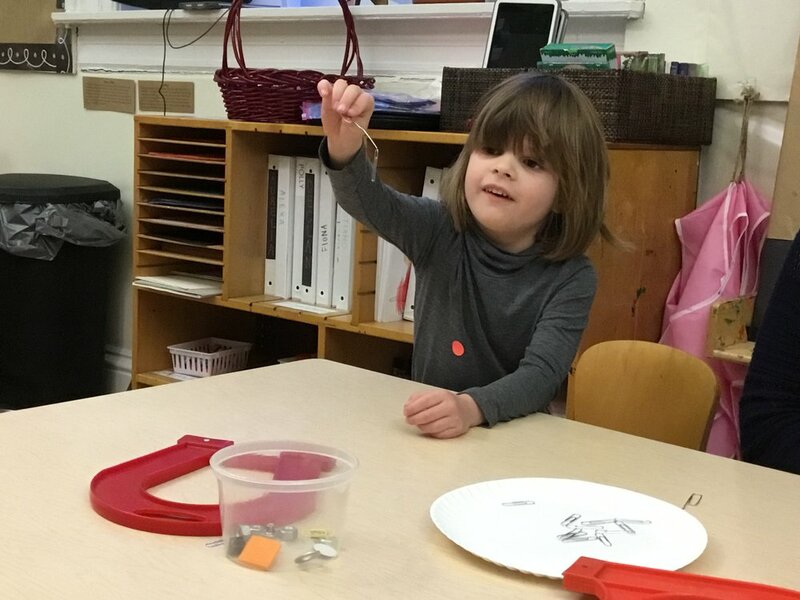 We’ve explored what is and what is not magnetic, painted with magnets, and turned a run of the mill paper clip into a magnet.